With a large city like Los Angeles there is always something taking place. The Chinese New Year was happening in Chinatown and I’ve always wanted to see the dancing dragon so my friend and I made our way to the big city. The interesting thing was that everyone had a DSLR. It was intimidating but as I began to shoot I noticed they were forgetting to take photos of the most interesting thing, the people reacting to the parade. thank you! I’m so glad you felt apart of it. I love the people shots! Makes it so much more relatable! Seeing there reaction gives me way more insight into the other images and the actual experience of the events. I use one of the wordpress free templates. The interface is easy to change, although there are somethings you can change only with an upgrade. Some HTML helps, it allows you to understand what you can change and not change. I mainly just use my HTML knowledge when I am adjusting my alignment on my post. The first picture with the woman in the hat is really cool! 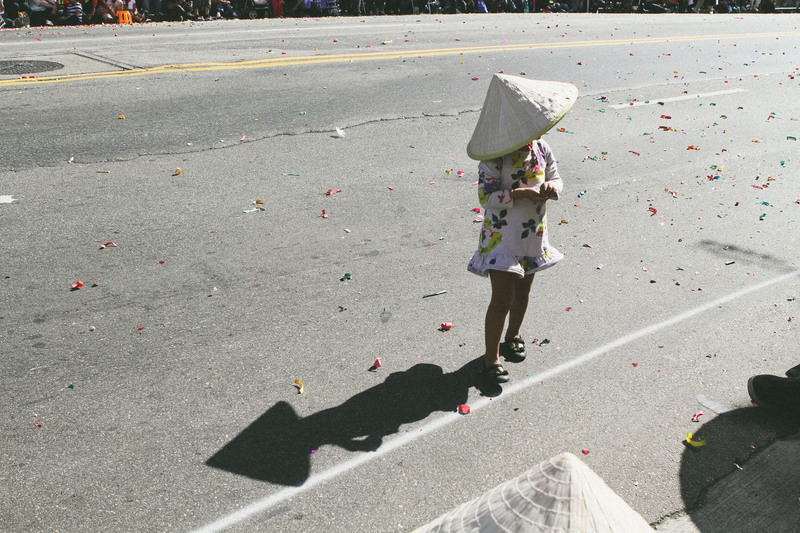 It’s the chinese new year – and her shadow looks like a firework rocket. Great capture!